The dangers of drowsy driving have become a major topic of conversation in recent years as it has become increasingly clear that fatigued driving presents many of the same risks as driving drunk (impaired reflexes, inability to slow or swerve to avoid a crash, etc.). Our Hammond injury attorneys encourage you to take the risks seriously, and get medical help for sleep disorders or persistent problems pertaining to sleep. The bad news is that, according to the New York Times, a study conducted by the CDC has revealed that millions are driving even though they are way too tired to actually be safe behind the wheel. The CDC study involved the collection of data from 19 different states throughout the U.S. as well as from the District of Columbia (D.C.). Researchers asked a total of 147,000 individuals to answer detailed questions on their sleeping patterns, on their driving and on their work. Younger drivers ages 18-44 were most likely to drive drowsy. Over 5 percent of survey respondents in this age group reported falling asleep or nodding off while driving at least once in the prior month. Older drivers were least likely to drive drowsy. Among the 65+ group of survey respondents, only 1.7 percent said they had fallen asleep as they were driving. When taking the average of all drivers, 4.2 percent said that in the month before they were surveyed, they’d fallen asleep while driving. This goes beyond just feeling a little tired- they actually fell asleep. These numbers may seem surprising, since it is hard to believe that so many people actually fall asleep even for a few seconds behind the wheel. Still, they are reflected in the statistics on drowsy driving deaths. In 2009 alone, 730 people lost their lives in fatal car wrecks as a result of a distracted driver. While hundreds of deaths per year and millions driving drowsy are certainly clear and unequivocal indicators that something has to be done about drowsy driving, the good news is that many people are taking matters into their own hands. Those who snore or who are sleep deprived are more likely to drive drowsy, the CDC study says, and many of these people are getting help at sleep centers nationwide. In fact, so many people are seeking assistance with their sleep problems that Money News reports the American Academy of Sleep Medicine has now accredited its 2,500th sleep center. There are now more sleep centers accredited than at any time since the Academy began the accreditation process in 1977 and there are double the number of centers from just a single decade ago. More sleep centers accommodate more people getting treatment and hopefully those who solve their sleep issues will drop out of the ranks of drowsy drivers and make the roads safer for all. 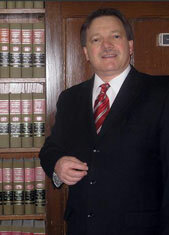 Attorney Burton A. Padove represents personal injury victims. If you or someone you love has been injured in an accident, call (219) 836-2200 for a free and confidential consultation to discuss your rights. New Years Drinking and Driving a Concern for Indiana Motorists, Indiana Injury and Family Lawyer Blog December 28, 2012.